A recent article by Xinyang Hua, Dr An Duy Tran and Professor Philip Clarke at the Centre for Health Policy has been published in the European Journal of Preventive Cardiology. Based on an Indigenous cohort from Far North Queensland, this study found that the Framingham cardiovascular disease (CVD) model, which is recommended by current Australian clinical guidelines to help identify people at high CVD risks, significantly underestimate the risk around a third for this Indigenous population. 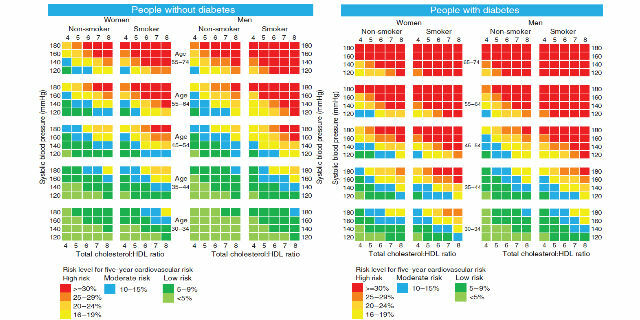 The study then recalibrated the Framingham model and developed a 5-year CVD risk chart based on the recalibrated model. This is the first CVD risk chart based on empirical validation using long-term follow-up data from Indigenous communities in Australia. The PDF version risk chart and an excel risk calculator based on the recalibrated model have been uploaded as supporting materials for the publication on our website. The full article is available online here.